With the elimination of our 16th place finisher, Event #9 $580 NLH is in the money. All remaining players are guaranteed a $1,270 payday. Play will continue until the final table or the end of Level 21, whichever comes first. Currently we are play Level 18, 2,500/5,000 blinds with a 500 ante. 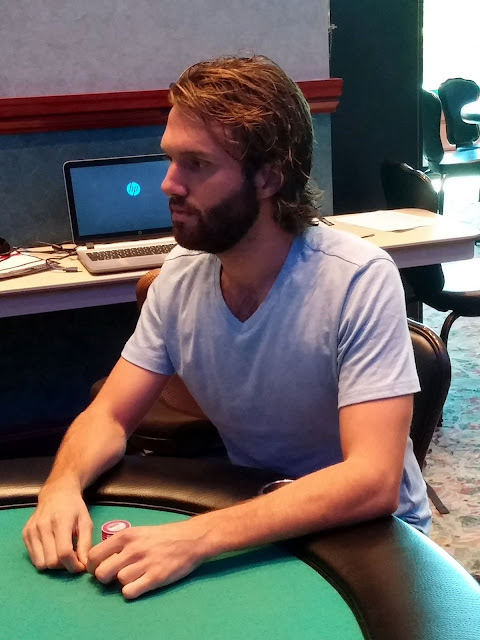 After being cripped to a handful of blinds, Michael Falcone doubled up two times. He was in good shape to double up a third time as he held [9d][9c] against Steven's [Kh][2d]. The [3s][Ad][5s] flop was fairly safe for Michael, but the [Kc] left him drawing to a two outer. 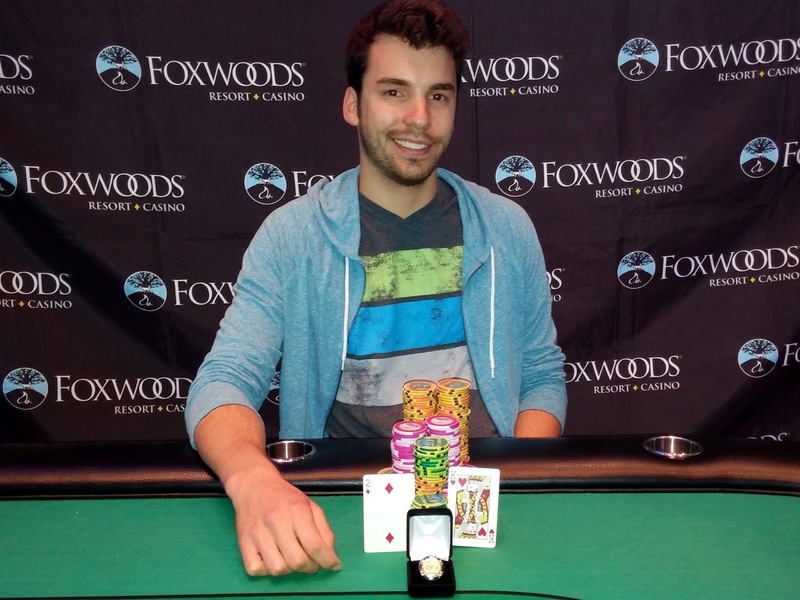 The [Ks] hit the river to give Steven winning trips, and he will win Event #8 $1,125 NLH. Steven will take hom $29,100 along with the title and the World Series of Poker Circuit ring. 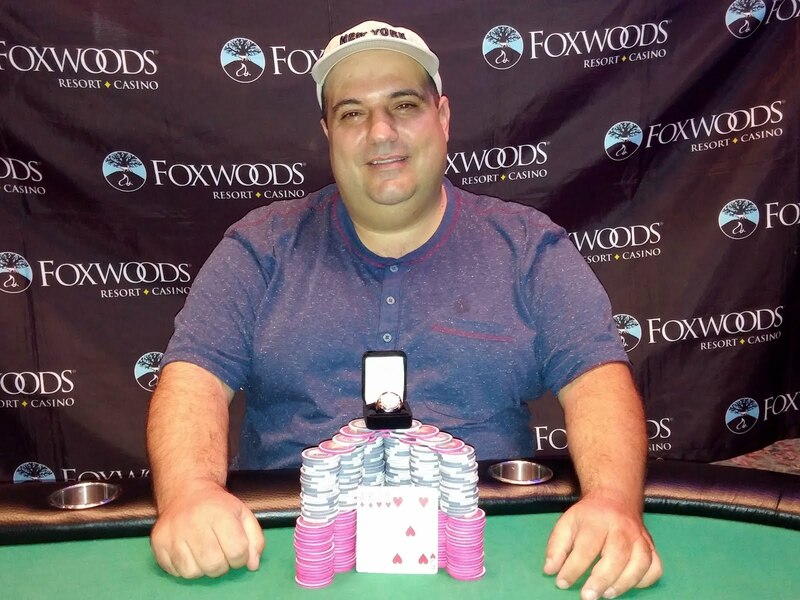 Congratulations, Steven! The board read [7s][Ah][3c][Th][Td] and Steven Tabb moved all in. Michael Falcone made the call and was shown the [Ac][Kh]. Michael mucked, and the stacks were counted down. Steven will double up to 1,400,000 while Michael is left with just 45,000. He doubled up the next hand but is still severely short. Renick Patterson was all in preflop holding [9s][9c] and was up against the [Ah][Ac] of Steven Tabb. The [2h][Td][7s] changed nothing, but the [8s] gave Renick an open ended straight draw. The [8d] paired the board, leaving Renick with a losing pair of nines. He will be eliminated from Event #8 in 3rd place, collecting $12,804 for his efforts. 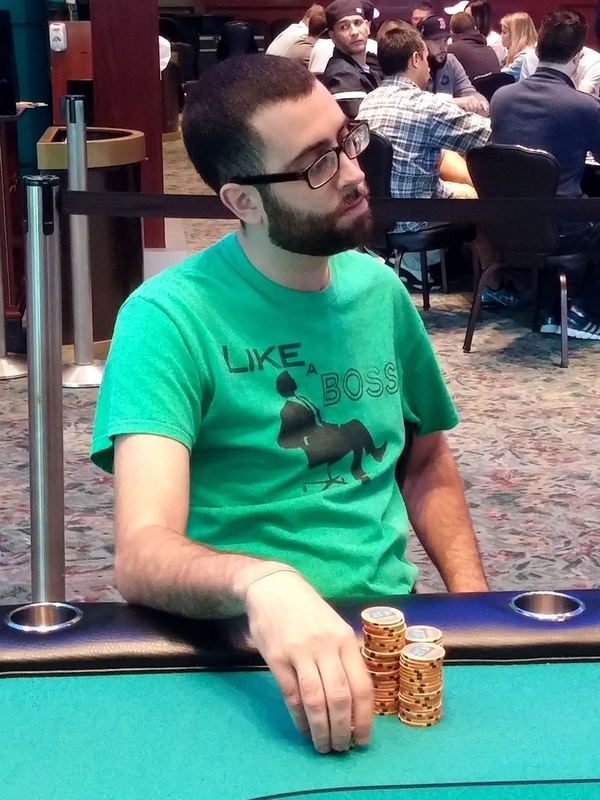 Jason Surro was all in preflop holding [Ac][2s] and was up against his opponent's [Qs][Qd]. 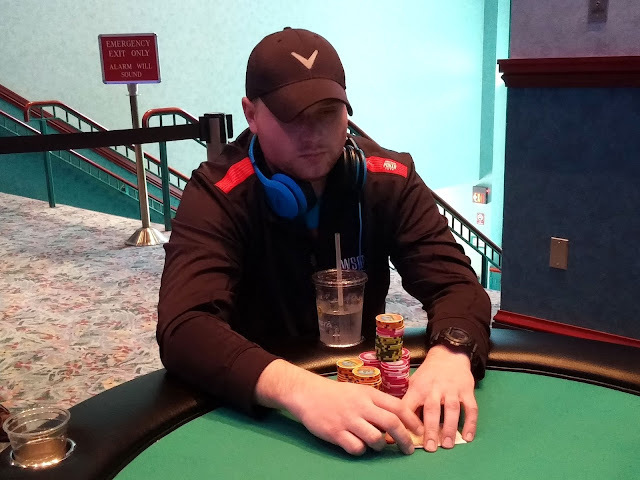 Jason failed to find an ace on the [8s][3d][Tc][3h][6h] board, and he will exit Event #8 in 4th place. He will take hom $9,302 for his efforts. Levels 1-12 will be 20 minutes. Remaining levels will be 30 minutes. Registration & Re-entries will be available until the start of the level 7 (approximately 8:10pm). 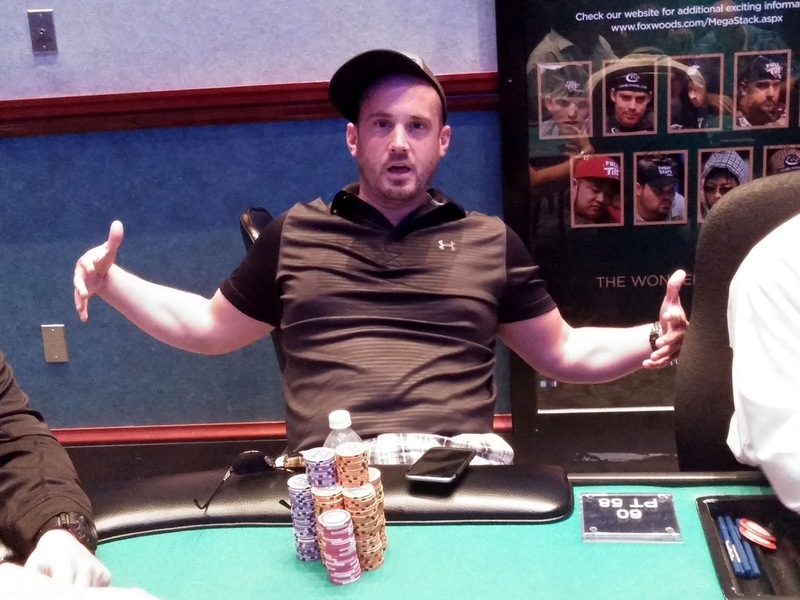 Kevin Calenzo was all in preflop after Steven Tabb raised. Steven snap called and tabled [Ac][Kh] which had Kevin's [Ad][Qh] dominated. The board ran out a pure [6s][9c][4s][7h][Jd], and Kevin will exit Event #8 $1,125 in 5th place. He will earn $6,887 for his efforts.